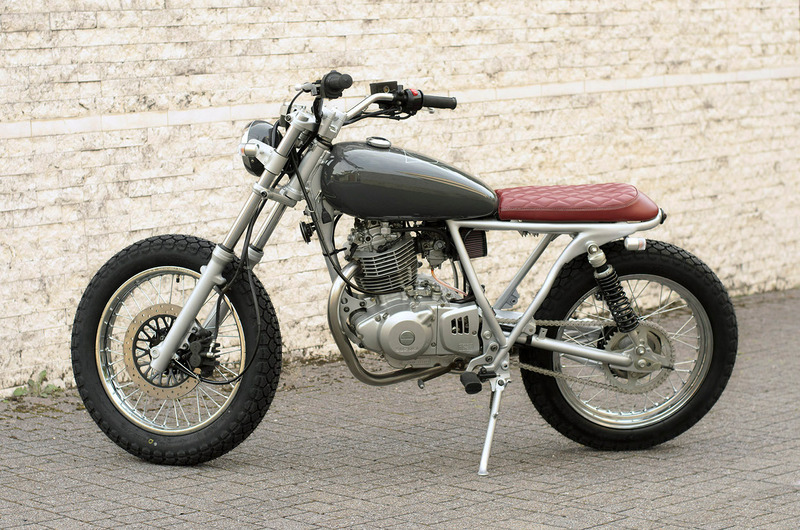 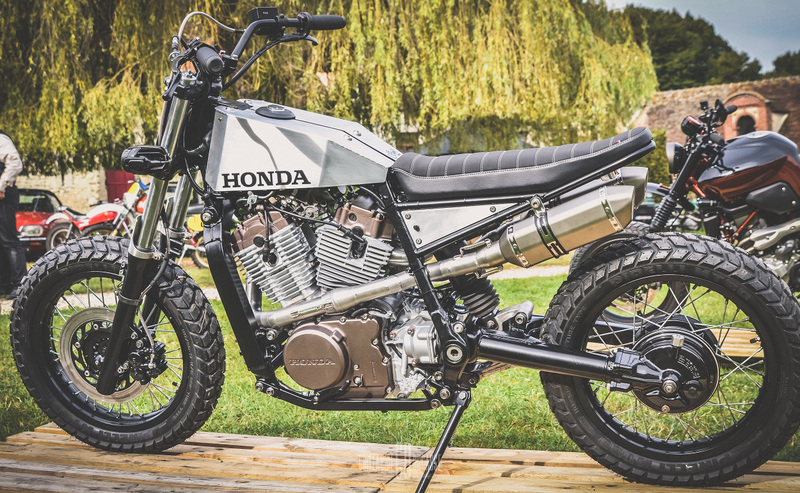 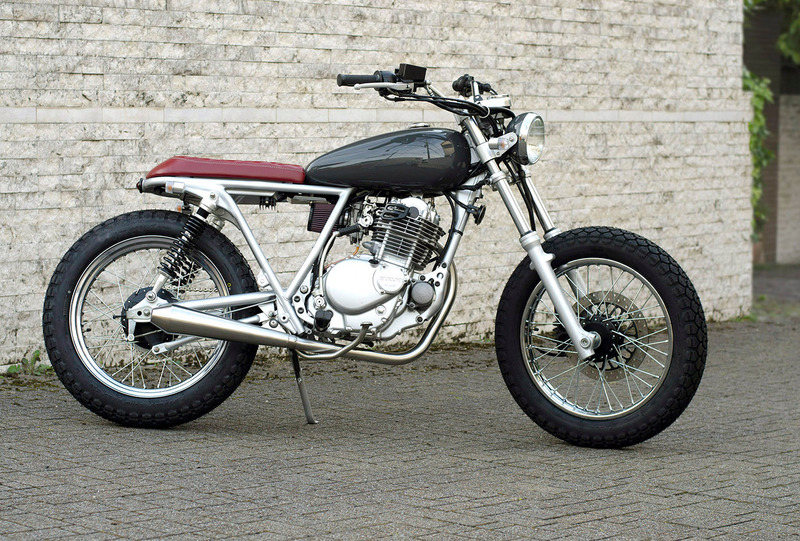 The Silver Fox – Speedtractor’s Deceptively Simple Suzuki TU250GB. Passion and restraint. 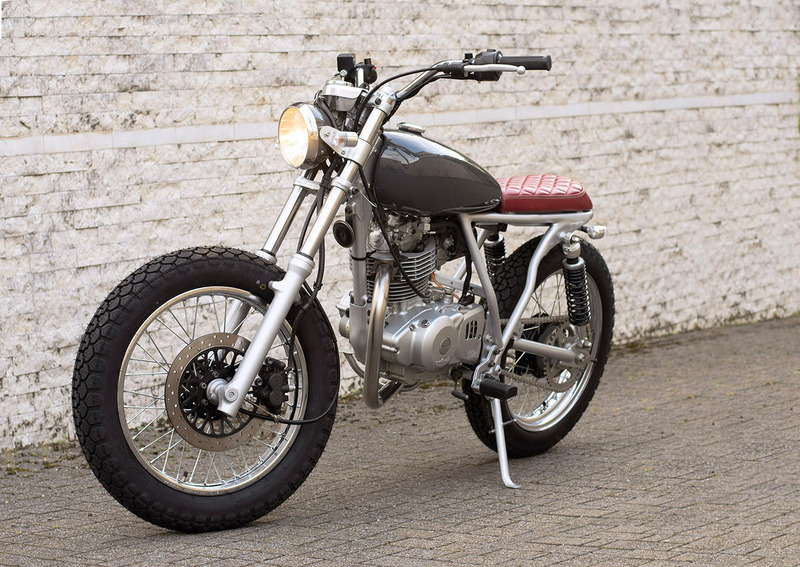 Two opposing forces, constantly at play within the mind of the custom motorcycle creator. 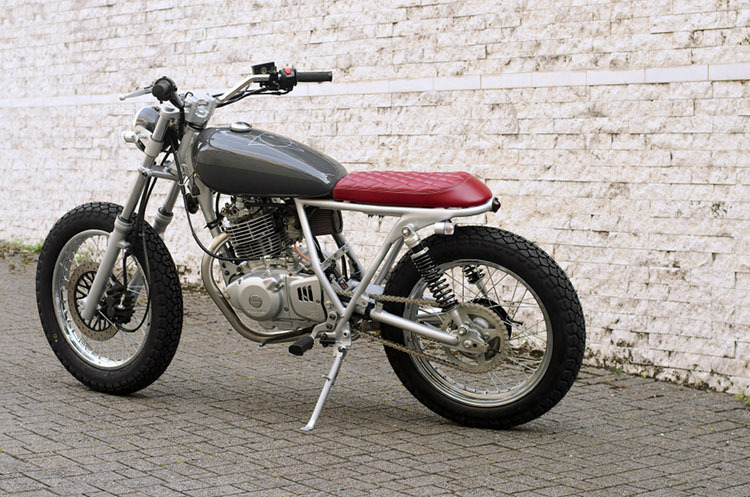 Too little or too much of either being the difference between going back to the drawing board or conjuring success like this latest build from Tokyo’s Speedtractor — The Silver Fox. 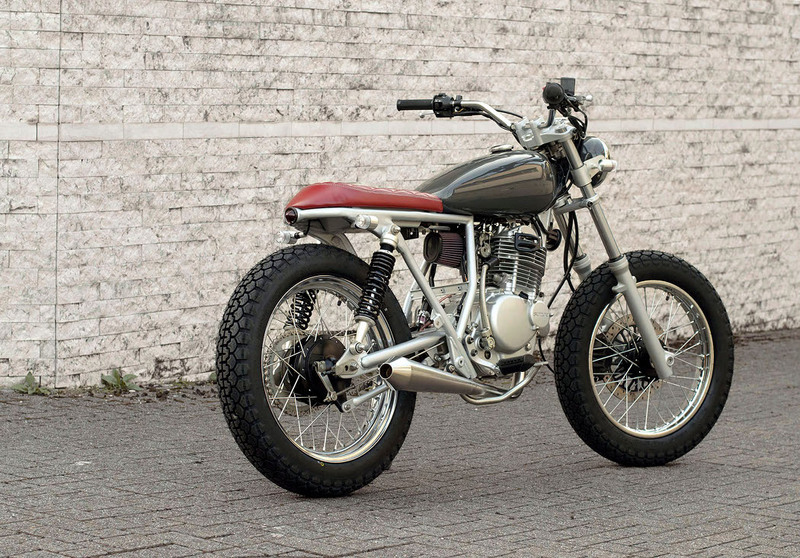 Those well-read will know Speedtractor’s Matthew Roberts is also the design mind and hands behind the Japan branch of another well-loved custom motorcycle moniker. 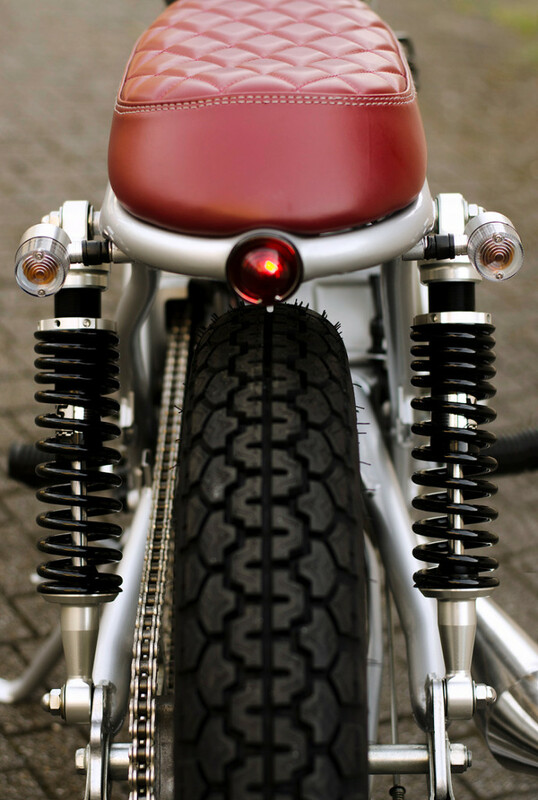 Though by his own admission, the design and creativity required to support both endeavors sees them actually complement one another rather than compete. 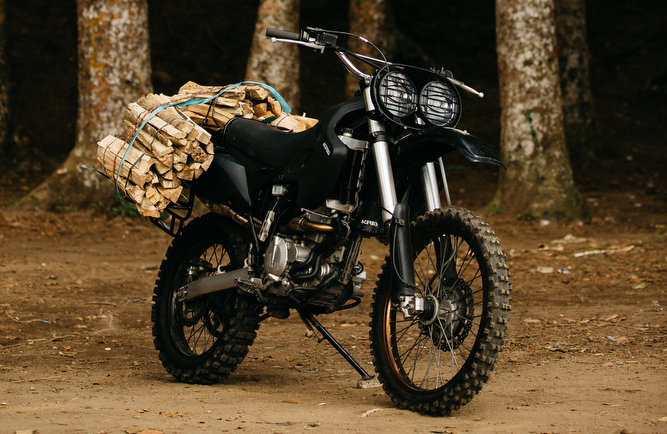 The one thing the Suzuki wasn’t providing in stock form, however, was the geometry the client desired. 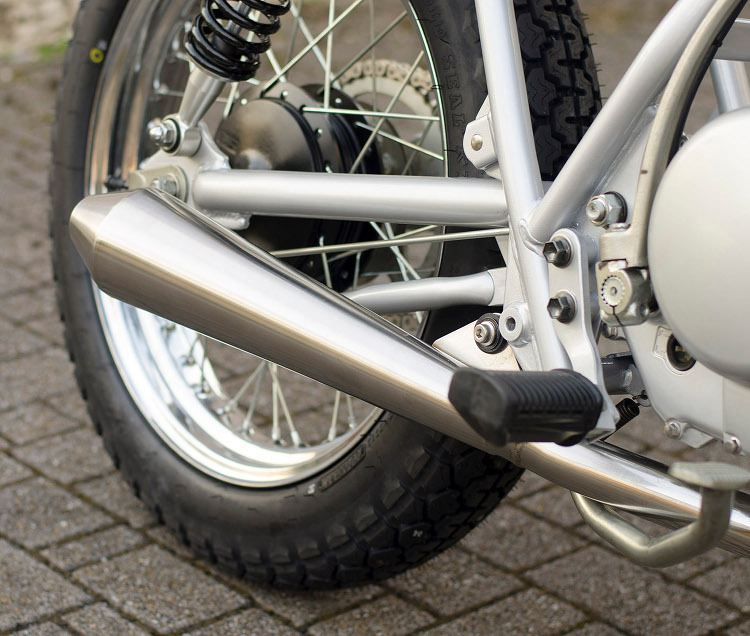 To achieve this, Speedtractor have created a new rear half of the frame, so that the frame tubes extended uninterrupted, accentuating the line under the tank while the swing arm was then reduced in length 50mm to allow the front frame tube, mid frame down tube and rear suspension to share a near parallel axis. 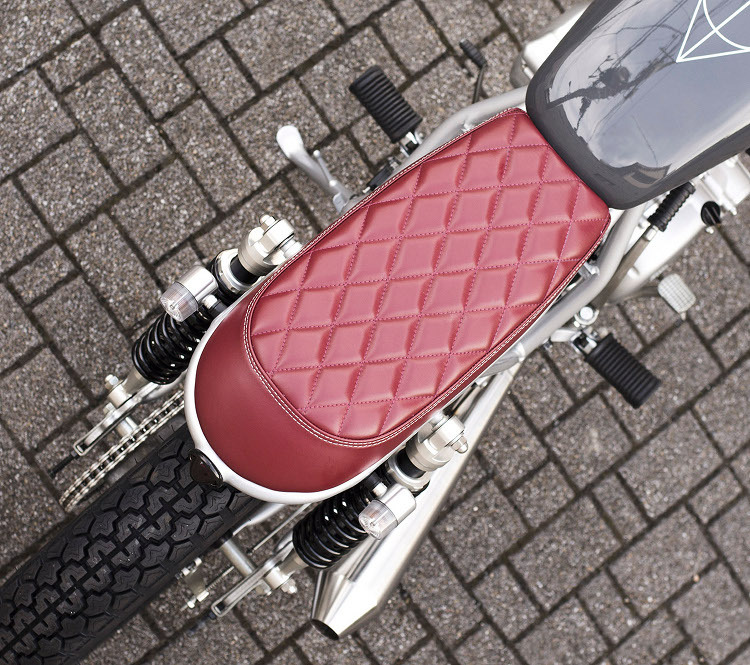 The almost monotone colour execution of medium silver mechanicals and frame set below a grey tank are accepted by the oxblood red seat. 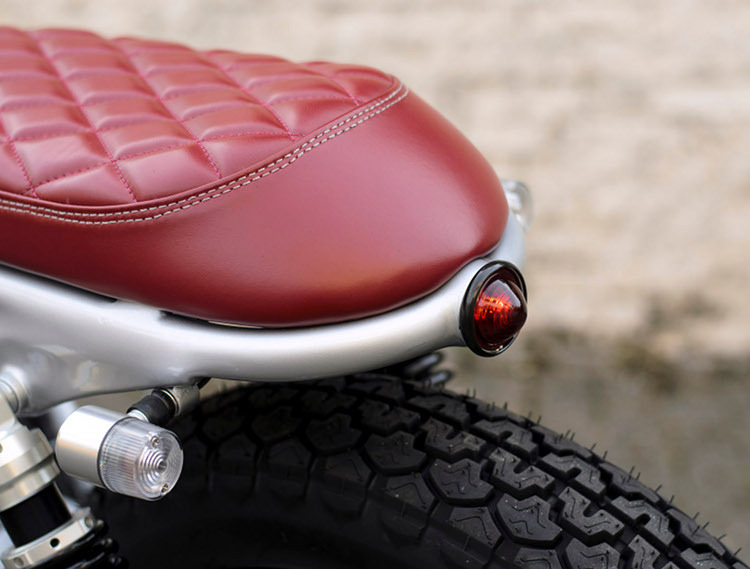 Here the sublime details extend beyond the immediately visible, for the one off seat base was lovingly shaped by hand with dolly and hammer from aluminum, before its sculpted foam was upholstered in a tightly diamond stitched, tanned to order leather. 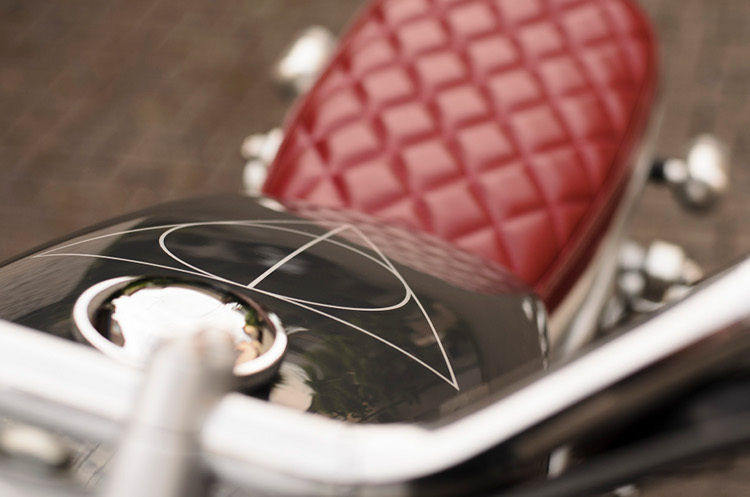 Or the one-off tanks seamless construction, set off only by the simplest chrome cap and accompanied by the smooth action of a Pingel fuel tap. 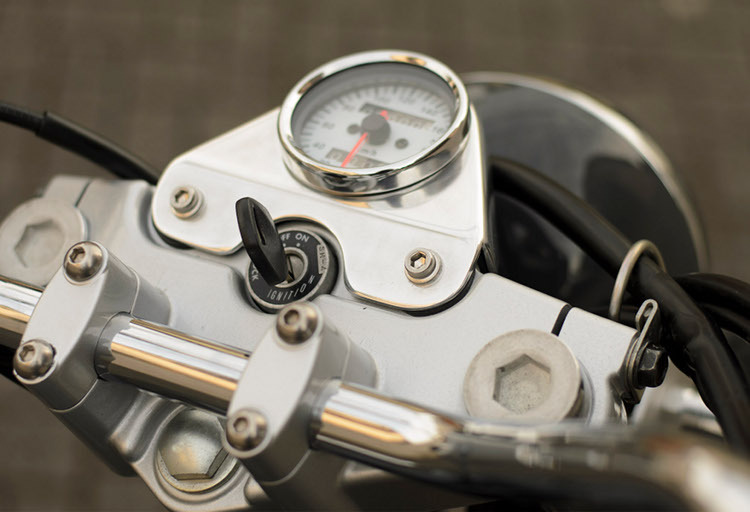 Headlight, stays, speedometer and mount are all equally simple, functional and carefully positioned to keep lines clean while featuring hand-made alloy accents. 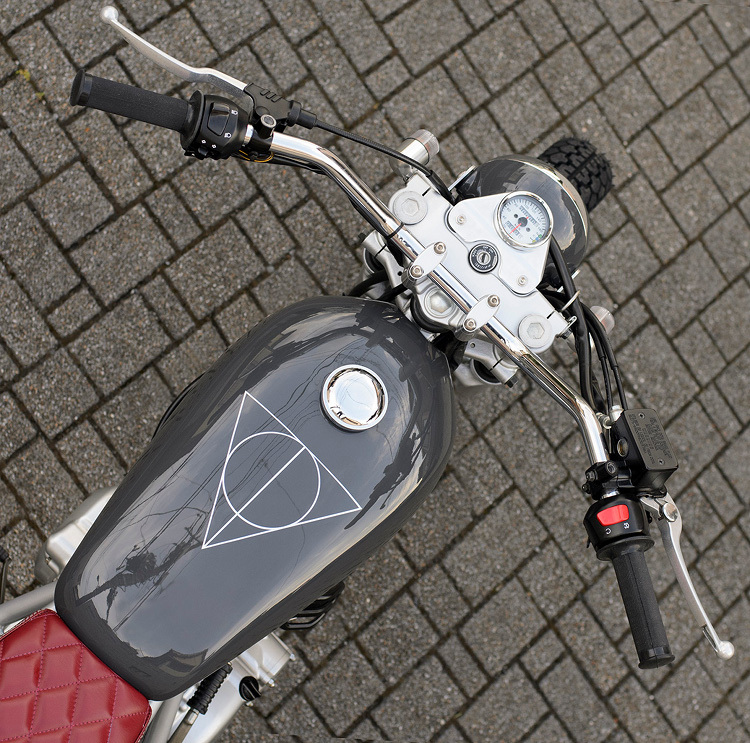 Electrics, USB charge port, toll card reader and lithium battery are housed discreetly in the tray under the seat allowing for the machine to support push button start plus a full compendium of devices for the modern day adventure.